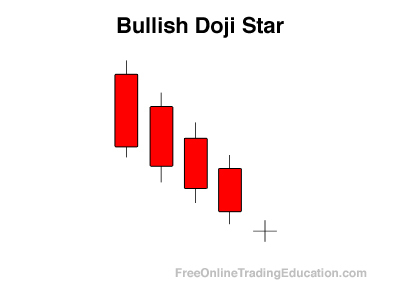 The Bullish Doji Star pattern is a three bar formation that develops after a down leg. The first bar has a long black body while the next bar opens even lower and closes as a Doji with a small trading range. The final bar then closes above the midpoint of the first day. 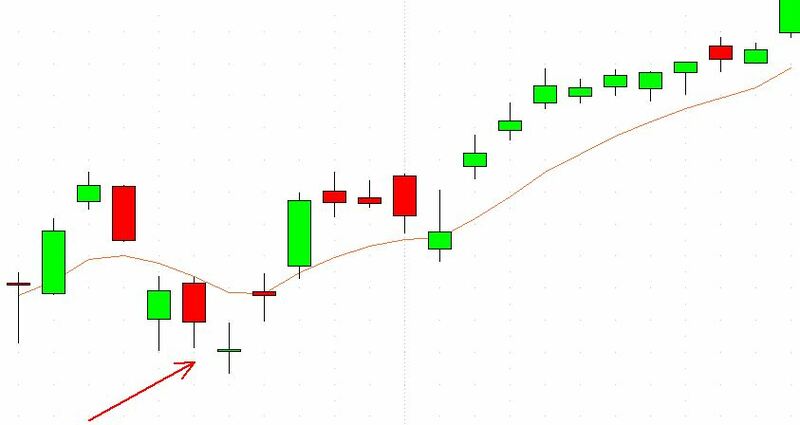 Technical analysts will watch for Bullish Doji Star candlestick patterns and often consider them buying signals when in context of another bullish chart pattern. In addition, analysts will use these for timing when to avoid selling an asset.